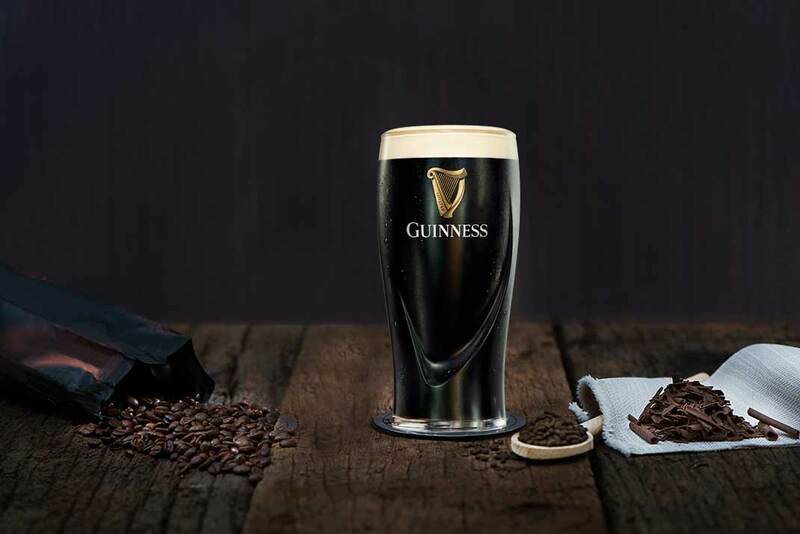 The story begins in 1759, when Arthur Guinness (1725-1803) acquired the St. James’s Gate site in the centre of Dublin for no less than 9,000 years ! Like his namesake King Arthur, he displayed both a visionary outlook and a philanthropic spirit as he set about producing the new beer to which he gave his name. This particularly creamy beer, dark as rock yet light as the foam on the waves, has gained the allegiance of all descendants of Arthur’s knights. Irish pubs duly honour their valour by serving up the black stuff. They go in quest of the Grail – could it be that they have found it in Guinness ? In the course of 250 years, Guinness has grown and grown, and ten million pints are sold around the world every day. More than just a drink, it has become an institution : a symbol of Ireland, an emblem of St Patrick and the delight of all lovers of beers of character.